Around the 11th of September, Apple is expected to announce a whole new range of products that is set to include everything from updated AirPods and new iPad Pro models to the Apple Watch Series 4 and, of course, the 2018 iPhone lineup. And, with little over a month to go before the event, new dummy models have appeared online showcasing the design of two new iPhone models. Kicking things off with the larger offering, the 6.5-inch iPhone X Plus looks essentially identical to last year’s iPhone X, the only difference being the sheer size of the new model. This means the glass build and stainless steel frame will be making a return alongside the vertical camera module which acts as the home to two cameras and a dual-tone LED flash. Also, the dummy model in question confirms that the same button layout will be kept. Because of this, the left side will include a Ring/Silent switch and separate volume up and down buttons, while the right side will feature an elongated home button which doubles as a shortcut for Siri. Switching over to the smaller 6.1-inch iPhone, this could potentially be sold under the iPhone (2018) branding upon launch and will act as the company's cheapest 2018 offering. Much like the new iPhone X and X Plus, this budget model will adopt a new all-screen design, albeit with slightly thicker bezels because of the LCD nature of the display. 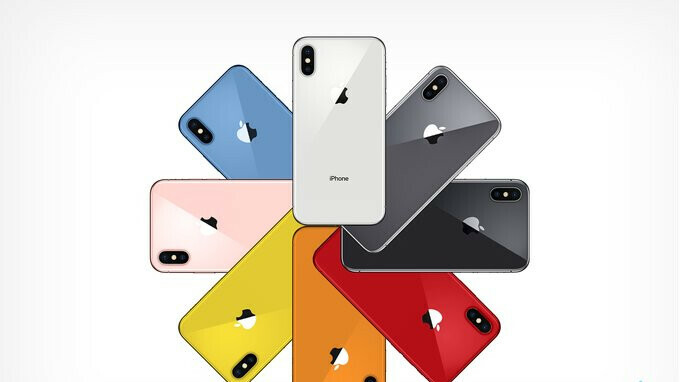 Moreover, while the glass build will also be retained, the rear dual-camera setup seen on the premium offerings has been swapped out for a single rear sensor, thus providing a very iPhone 4-like design. In regards to pricing and release, the premium 2018 iPhone X and X Plus are expected to go on sale by the end of September, but in the case of the 6.1-inch model, production problems have reportedly delayed its release until October. In any case, once all three models are on sale, the updated iPhone X is rumored to start at around $899, while $999 will open up access to the Plus variant. However, those wishing to save a bit of money should be able to get their hands on the budget model for $699. So no more 16.9 iPhone 9 or iPhone 9 plus if I’m not mistaken?. Boring, the mock up is so sloppy anyone work in factory spot it out right away. I want that 6.5 in blue, gold, or black. If this one is true, i would like to bookmark this page to come back after months of releasing the iphone to see if the Chinese companies will do the same camera setup look for the single lens ! So another notch year from Apple means we're stuck with another year of notch from other oems? .. Sigh. Ahahahaha, 6.5 inches? The reason these Apple buffoons need to make a tablet sized iPhone is to make up for all the screen space that is wasted on the worthless gigantic ugly notch. All iPhone designers should be fired immediately! @EC112987. One day soon within the next half-decade, God will strike down all makers of these vile loathsome notch phones and their sinful users. Make the mobile world great again, denounce and boycott the notch!